The Armstrong is a major northeastern cable, telecommunications and internet service provider, operating services in Pennsylvania, Ohio, New York, West Virginia, Kentucky, and Maryland. Armstrong Utilities, Inc. ranks among the 15 largest multi-system operators in the United States. Armstrong began in 1946 and was originally called Armstrong County Line Construction. 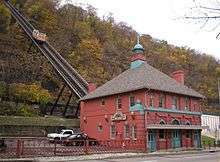 Founded by Jud L. Sedwick, the company was headquartered in Kittanning, Armstrong County, in Pennsylvania. Together with is brother Ned, Sedwick ran two crews consisting of six men each, whose job consisted of hanging telephone lines, setting telephone poles, and clearing right of way throughout western Pennsylvania, and managed to grow the company to 12 crews by the end of their first year of operations. 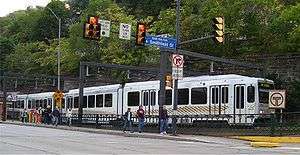 Armstrong is best known in Pennsylvania, Ohio, Maryland, New York, West Virginia, and Kentucky for its digital cable services, most commonly providing television, telephone and high-speed Internet service. Currently, Armstrong employs over 2,300 people nationwide. The company's customer service and corporate offices are housed in Butler County, western Pennsylvania, with local offices scattered throughout the region and neighboring states. Armstrong also offers high speed broadband internet service for residential and commercial customers. Effective May 1, 2013, data caps were implemented based on the subscriber's overall package and tier of internet service. ↑ "Armstrong Wins Customer Service Award | Business Journal Daily". archive.businessjournaldaily.com. Retrieved 2016-03-30. ↑ Potter, Chris (26 October 2012). "Small-town firm enters the political big leagues". Pittsburgh City Paper. Retrieved 9 December 2013. ↑ Gibson, Keegan (25 October 2012). "GOP Super PAC Lines Up Ad Against Casey (Watch Video)". PoliticsPA. Retrieved 9 December 2013.